IBS Intelligence - Blog: Branches and mobile banking: do you need both? One of the discussions at the Payments Knowledge Forum, which took place in London last week, was whether or not both branches and mobile banking are needed? While there were plenty of good arguments for both sides of the debate, the main common point was consumer experience. Consumers want to have an enjoyable banking service that is easy to use and consistent, whatever the channel. Robert Johnston, marketing director at NCR, said that a key differentiator from one company to another is the quality of consumer experience, more so than the products that are on offer. However, providing this type of experience is getting tougher for banks, with the ever-changing behaviour and expectations of consumers. When supplying a product or service to a consumer, a bank needs to realise that the consumer probably knows as much about that product or service as any of its staff. Not only that, but the consumer has probably also been able to prepare notes on their preferences and choices via their peers, industry reviews, websites and so on. Hence, they have a completely different view of what they are about to do, and that has increased the levels of expectation. Mobile is the way forward? Andy Brown, product marketing manager at Alaric, said 'mobile is the way forward, so there is no need to have branches'. He added that on average, 22 per cent of mobile users around the world have used their mobile phone for banking, and in some parts of the world it is higher than that – 38 per cent in China and 32 per cent in North America for instance. On top of this, Brown cited an interesting statistic from an ABN Amro presentation at the EFMA event last year: a small branch on a weekday had 20 customers using the teller for services and 27 customers for the indoor ATM. 'This shows there really is no need to have the branch and that everything can be carried out via a mobile or the internet,' he stated. On the flip side, although there has been a 59 per cent annual growth rate for mobile banking, with around 29 billion global transactions taking place throughout the year, there are still around 94 billion global transactions being carried out via ATMs and 76 billion transactions made in-branch. Johnston noted that 'there is no doubt that we are moving towards a mobile first world, but the physical branch is still needed and remains the place where most new business is closed'. So, if the physical branch still has a role to play in the market, how can it become more cost-effective and viable? 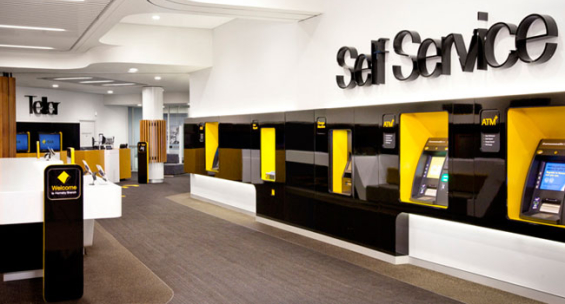 - Grow revenue: Branches need to offer new services and increase sales effectiveness; personalise banking experiences; and enable banks to re-connect with their customers. - Deliver better customer experiences: Branches need to offer consumers choice and convenience; make banking easy and enjoyable; and maximise customer loyalty. - Lower costs: Branches need to define the right channel mix; enable omni-channel for cost and convenience; prevent fraud and control risk; and reduce dependence on legacy technology. There is no question that mobile will impact what happens in branches, but it won't make the branch go away. As long as the latter is cost-effective, it has a place in the market, but that place must too be linked to a mobile world to keep up with consumer demand.